"Great location. 30 acres bordering the Town of Carstairs. Paved road with easy access to QE2 highway. Many possibilities for using the site for personal, commercial or development use. Adjoining land is also available if desired. 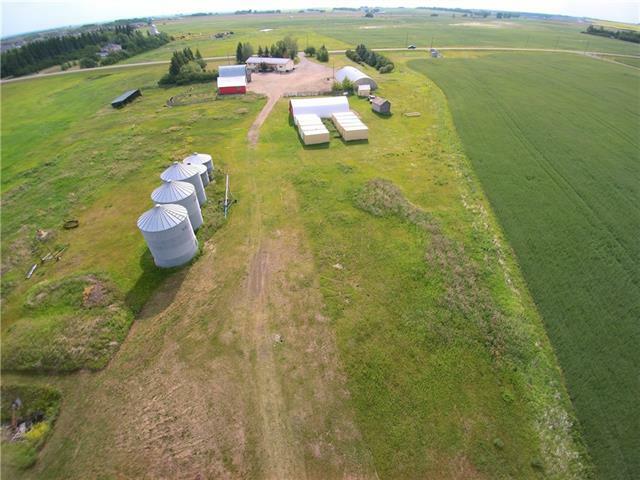 This acreage includes a 32 x 54 shop with cement floor, a 39 x 82 Quonset, a 26 x 32 barn with hay loft, a24 x 32 shop, a 12 x 16 shed and a 12 x 24 garage. The home is a 1500 sq.ft. bungalow with 3 bedrooms on the main floor and 3 bedrooms, a 3 piece bath and a familyroom in the developed basement. Call today to view."